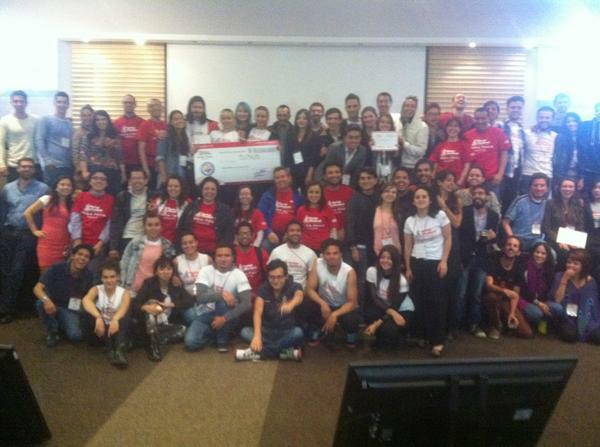 In recent weeks I’ve virtually followed 2 StartupWeekend events that took place in Bogota, Colombia that gave me a general ideal about the growth of the innovation ecosystem in the country and the new blood of entrepreneurs. I noticed something that is establishing as a strong and valid alternative that attracts young generations to come up with a fearless attitude and bring fresh and new ideas to improve the way things work in the country/city/communities. In this article I’m going to offer my negative and positive impressions together with resources that are useful for anyone that wants to followup on this. ###Event 1: StartupWeekend Uniandes I found out about a startup-weekend Uniandes event that took place at the no.1 ranked school in the country. And I was positive surprise that they had a live stream. My main goal was to get a sense of the dynamics and quality of the projects/mentors/judges to compare it against the events that is normal to see all the time in the silicon valley. ###Event 2: StartupWeekend Fashion Tech Having a more defined objective into exploring the challenges and ideas presented on a fields like eCommerce which I’ve been exposed while working at Moovweb. This in combination with a very developed and strong fashion industry in Colombia attracted me to also follow this event via streaming. ####What I liked? Organization: I was positively impressed on how well the events were organized. Bringing together participants, mentors, sponsors and judges during a full weekend event is not an easy tasks. And on top of that, opening up the events for people that couldn’t not make it in person via streaming was fantastic. Ideas: A lot of new and interesting initiatives were explored, also with the guidance of the mentors the refinement between where it starts and what gets presented to the judges is actually, in the majority of the cases, something that is well scoped. Open communication: Not just among mentors, participants and organizers, but also I, as remote attendee had the opportunity to interact with many people via twitter and send feedback almost in real time as if I was there. Social conscience: Colombia’s own reality and timing is crucial, we are entering to an era where peace in the nation seems like a viable solution. Though this brings many challenges for the civil society. I really like to see a few mentors trying to push the participants towards generating ideas that contribute with social ideas instead of the “social garbage”. There is a big opportunity for innovation and something that is unique to the innovation environment in Colombia. ####Things that need improvement Presentation skills: Something that really makes a difference on pitching an idea is the presentation skills. Generally speaking the in the US people start building this skills at very early stages in life. As opposed to in the last minute and without much form. Sponsors: There not enough exposition/involvement of sponsors to these events. The judges are good but, involving the industry and companies that would benefit from the amazing ideas that this young people are creating is a great business opportunity. I noticed the same as I was in college: the gap between the schools and the market is big in countries like Colombia. Wider exposure: In some cases I could see that companies and ideas focused on a really small subset of competitors in ideas that are already in the market. Pushing the local entrepreneurs to know the space and know it well has to be a measure of success. Large groups: Many of the groups seems really big,. It’s hard to start something or give continuity having too many people to coordinate with. Coincidencially at the time of writing this article I bumped into this article on LinkedIn called A call for early stage investment in Colombia that touches in many of the aspects that I mentioned in this article.